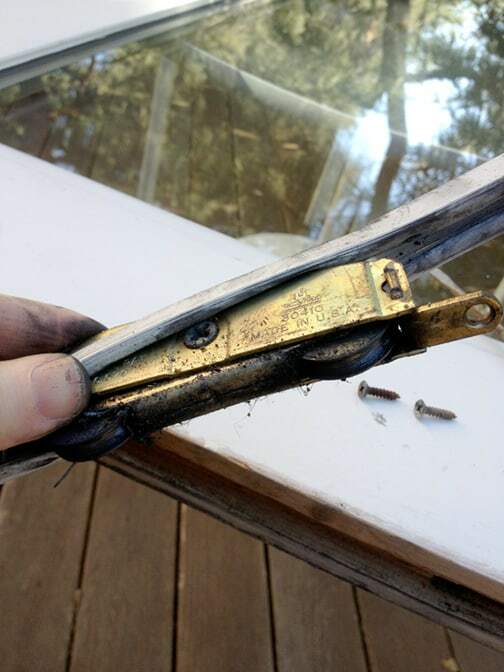 Expert advice for removing and repairing a sliding door, with step-by-step photos of cleaning sliding glass door rollers and repairing a sliding door track. 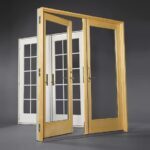 Sliding door repairs are discussed in this article; for repairs to hinged patio and entry doors, please see How to Repair a Door. When a sliding door doesn’t work right, the problem is often that the rollers have derailed, so first check to be sure they’re fitted onto the track properly. Adjust doors up or down with the roller adjustment screw. Also make sure the problem isn’t just an alignment issue. Both top- and bottom-supported doors have a roller adjustment screw for raising or lowering the door. In some cases, you have to remove a cover to access the adjustment screw. Remove the cover and turn the screw 1/4-turn clockwise to raise the door or counterclockwise to lower it. Then test the door and repeat until the door is moving smoothly. To remove a bottom-supported sliding door, lift and then tilt the bottom out of the track. Do this with a helper! 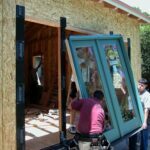 If you want to entirely remove a sliding patio door to replace it with a different door, please see the video at the bottom of this article. Here we look at how to remove a door to repair the rollers. How you remove it depends on the way it’s supported by its frame. 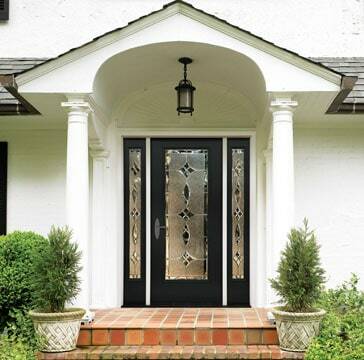 Lift a bottom-supported door (such as an sliding glass patio door) straight up to clear the bottom track. Then sharply angle the bottom of the door outward, and lift the door from the track. Be careful—sliding doors can be very heavy! Apply a dab of paint remover to access the screw heads so you can extract them. Note that some sliders have a removable molding at the top that is designed to prevent the door from falling out. If your door is captured by one of these, you’ll need to remove the molding. Find the screws that attach it (they may be puttied and painted). Dab the screw head with paint remover, carefully scrape the paint from the head with the point of a utility knife, and then extract the screw with a screwdriver or screwdriver tip in a portable drill. A top-hung door (such as a closet door or a pocket door) can be lifted straight up and then angled to lift the rollers from the track. You may need to align notches on the track with the rollers before you can lift the door out. 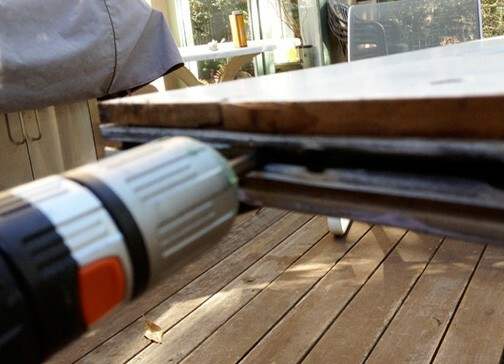 To work on patio door rollers, lay the door down on a flat surface—ideally a pair of sawhorses or a table. 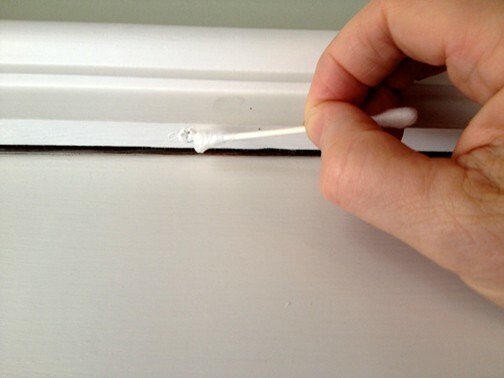 Inspect the door’s rollers to see if they’re gummed-up, broken, or have come loose. 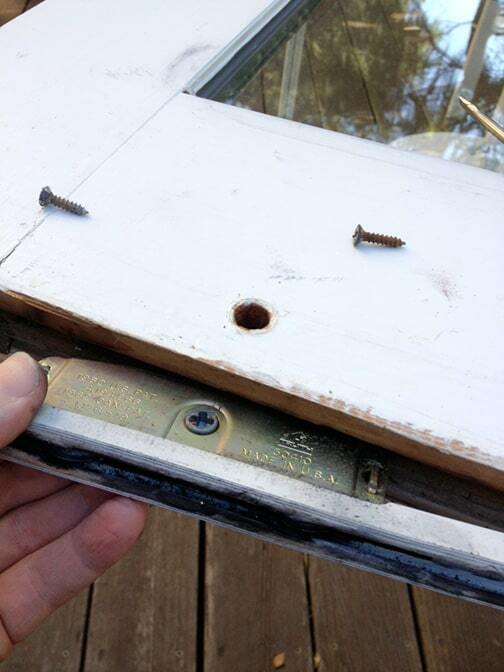 If the problem is just a loose roller, tighten or replace the loose screws that hold it in place. If a roller is broken, you’ll have to replace it (take it to the hardware store or contact the manufacturer to find an exact match). 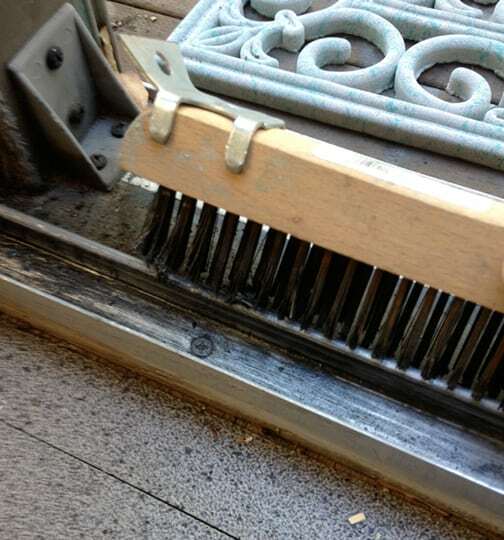 The problem is more likely to be rollers that are gummed up with pet hair, dirt, and debris. Unscrew the rollers from the bottom edge of the door. 1Unscrew the rollers from the bottom edge of the door. Note that the rollers of the door shown here reside up inside a rubber weatherstripping gasket that fits into the door’s bottom edge. Remove the roller from the slot in the bottom of the door. 2Pull out the rollers and the weatherstripping gasket. In this photo, you can see the large round screw head that is used to adjust the height of the rollers in the track. Remove the roller from the weatherstripping. 3Remove the rollers from the weatherstripping gasket. The parts are likely to be greasy. 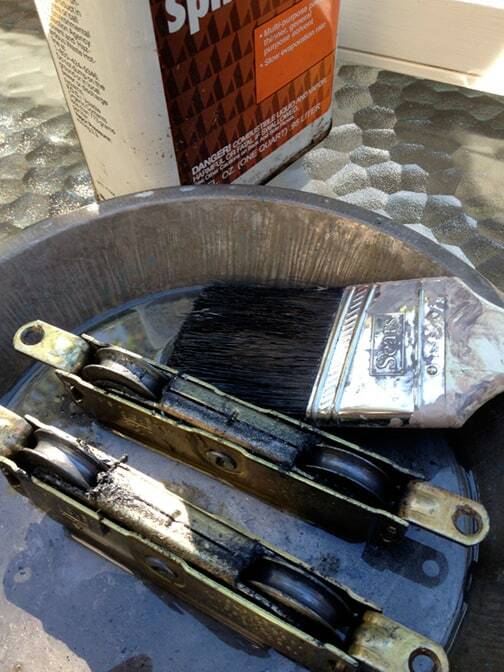 Clean the rollers with turpentine, using an old paint brush. 4Clean the rollers in a pie tin, applying turpentine with a brush. Use a wire brush to cut tough debris if necessary. Wipe clean with a rag. Just like new! Lubricate cleaned rollers and then reinstall them. 5Examine the cleaned roller and coat them with WD-40, silicone spray, or a penetrating oil. Reassemble the parts in reverse order, and then clean the track as discussed below before reinstalling the door. The Phillips-head screw at the center of each roller adjusts the height of the rollers in the body. Clean the track with a wire brush and a rag. 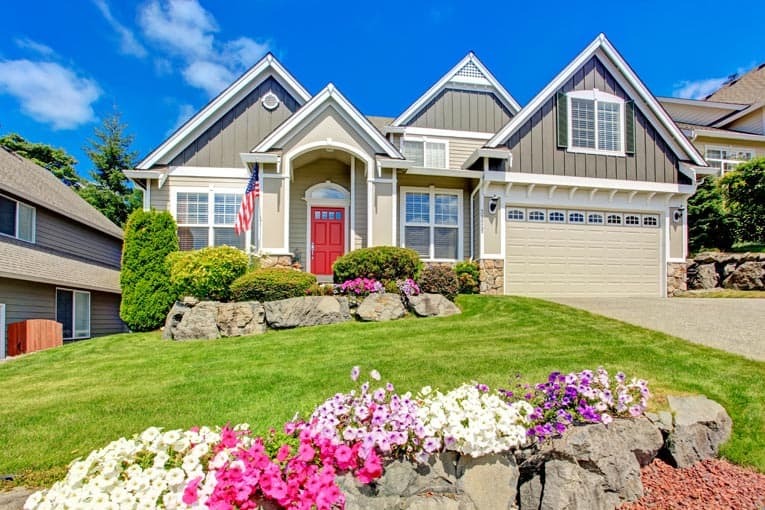 If a malfunctioning sliding door is a chronic problem, see if the track is dirty. Built-up dirt or loose debris can cause a door to stop sliding and ride off the track. Use a wire brush to clean off the dirt or debris. Use the blade of an old screwdriver to pry stubborn dirt loose. Finish up with a rag—an turpentine if necessary. Once you’ve cleaned the track, lubricate it with silicone spray or a little paraffin to help the door ride smoothly; this is good periodic maintenance to prevent problems. Check the track to see if it is worn or bent or if the guide is misaligned. Misaligned rails can be knocked back into alignment with a hammer and a wooden block. 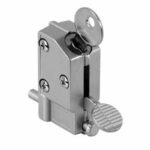 Rail guides can be repositioned by merely tightening the screws that hold them in place. You may need to unscrew and reposition them, and then re-tighten the screws. Sometimes, with a sliding door, it isn’t the track or rollers working improperly, it’s the catch. To reshape a bent catch, remove it and clamp it in a vise. Using pliers or a hammer, bend the catch to the proper angle. 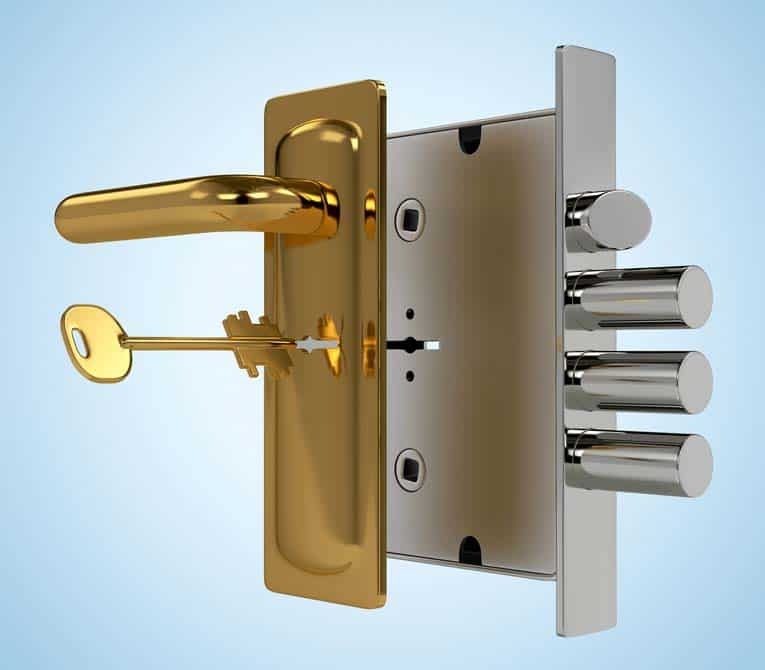 Then replace it and check the latch operation; it should click as the door closes, and it should have to be depressed fully for the door to open. 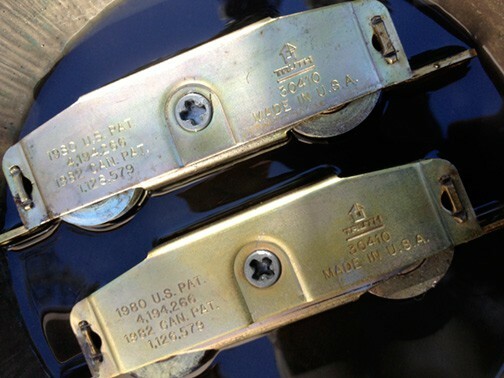 Replace a malfunctioning catch or one that is worn or broken with the same model. If you’re in the market for a new sliding door, check out the latest offerings with wood surfaces that face into a room and vinyl or aluminum cladding facing the outside. These give you the best of both worlds—beauty and durability. See Patio & Sliding Doors Buying Guide. To completely remove a sliding patio door so you can replace it with a different door, please see the following very helpful video.